The Public Attorney’s Office (PAO) and National Bureau of Investigation (NBI) will file respective charges against the Aquino officials on the counted 43 deaths of Dengvaxia vaccine controversy. 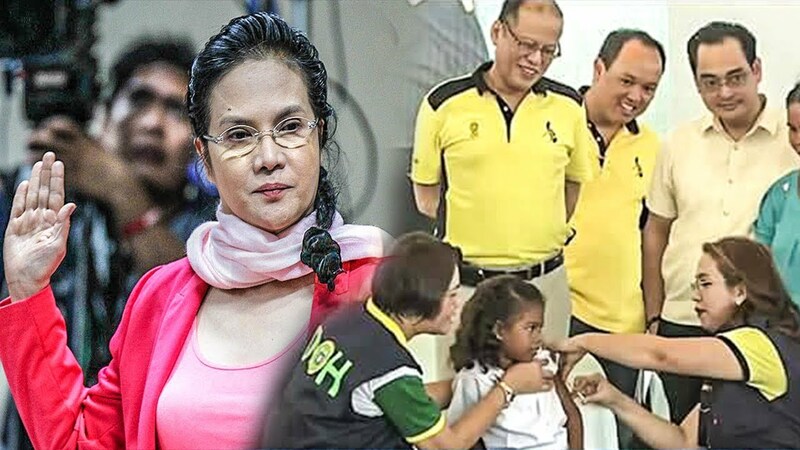 PAO chief Persida Rueda-Acosta confirmed that there are charges filed to former Health Secretary Janette Garin and 34 others of four schoolchildren who died being injected with anti-dengue vaccine and assured this one among the series. “That’s only the first batch of complaints covering four deaths. We have documented 43 deaths so far, so definitely there are more complaints coming,” Acosta said. She said the charges for reckless imprudence resulting in homicide might even include more respondents.